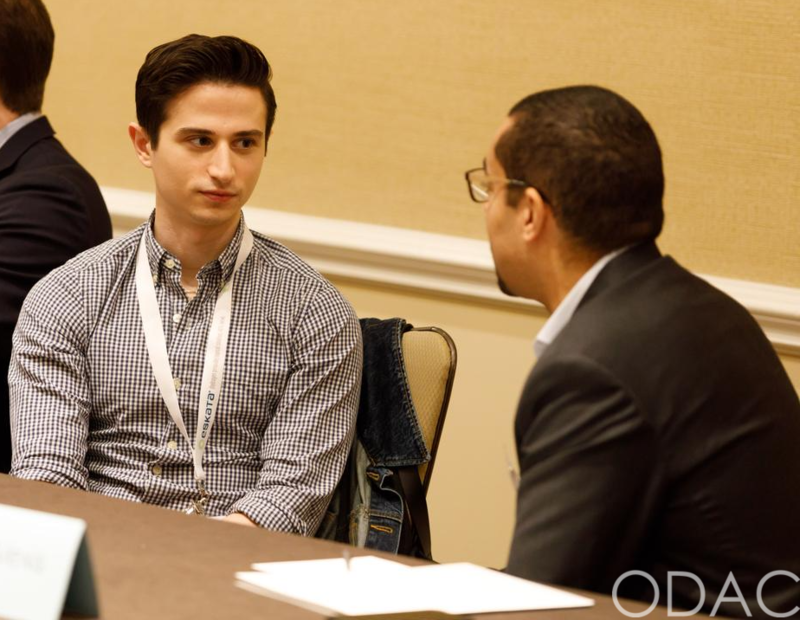 During the 16th Annual ODAC Dermatology, Aesthetics and Surgical Conference, I had the pleasure of taking part in the Resident Career Development Mentorship Program (a program supported by an educational grant from Sun Pharmaceutical Industries, Inc.). and was paired with Dr. Andrew Alexis, Chair of Dermatology at Mount Sinai St. Luke’s and Mount Sinai West in New York City. Melasma is easy to diagnose but hard to treat. Hydroquinone and modified Kligman’s formula have been the gold standards for years. Higher concentrations of hydroquinone lead to a greater risk of contact dermatitis, and longer course of treatment result in a greater risk of ochronosis. For this reason, Dr. Alexis likes to transition patients off of hydroquinone after 6 months and switches to another agent like a retinoid, kojic acid or azelaic acid. These agents can even be started concurrently with the course of hydroquinone. You can also add adjuvant procedural therapies such as chemical peels or laser. Don’t forget to advise your melasma patients to wear sunscreen daily. 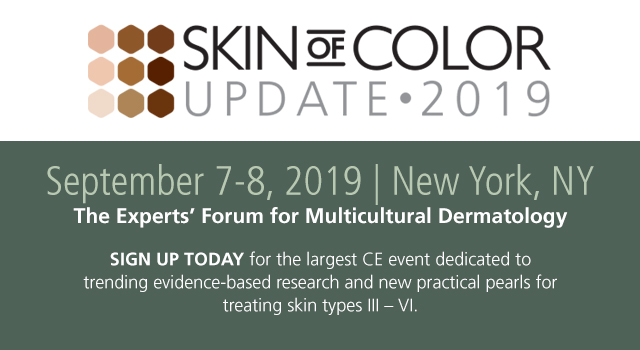 Many new cosmeceuticals targeted at hyperpigmentation have entered the market – some have multiple active ingredients that address various steps of melanogenesis. When using laser to treat hyperpigmentation, the key to avoiding adverse events is using conservative parameters. Alexis is most comfortable using non-ablative fractional layers such as 1927 nm diode laser. There are also some oral therapies that show promise in the treatment of hyperpigmentation. Polypodium leucotomos could be used to augment sun protection– while the evidence is unclear in melasma, it is easy to use and low risk. Tranexamic acid is very popular right now. It is a lysine derivative that inhibits plasminogen. It has been used off-label for melasma. It interferes with keratinocyte-melanocyte interactions and has an effect on the vascular component of melasma. Be sure to screen patients for thromboembolic risk and family of thromboembolic events before starting and document it. Important to catch CCCA while there are still viable follicles to preserve. When examining the scalp, part the hair and check for bogginess. On dermoscopy, look for peri-pilar dark gray halos – these correlate with characteristic histological findings and can be used to identify a good biopsy site. New data show a fivefold increased risk of uterine fibroids in patients with CCCA. PRP has shown some promise for the treatment of CCCA in recent case reports. Dr. Alexis uses anti-inflammatory agents like doxycycline or topical steroids + minoxidil as the basis for his treatment plan. This information was presented by Dr. Anrew Alexis at the 16th Annual ODAC Dermatology, Aesthetics and Surgical Conference held January 18th-21st, 2019 in Orlando, FL. The above highlights from his lecture were written and compiled by Dr Angelo Landriscina. Dr. Landriscina was one of the 5 residents selected to participate in the Sun Resident Career Mentorship Program (a program supported by an educational grant from Sun Pharmaceutical Industries, Inc.). Dr. Landriscina is a PGY-3 resident at the George Washington University program in Washington, D.C.
Did you enjoy this post? Find more Skin of Color topics here. 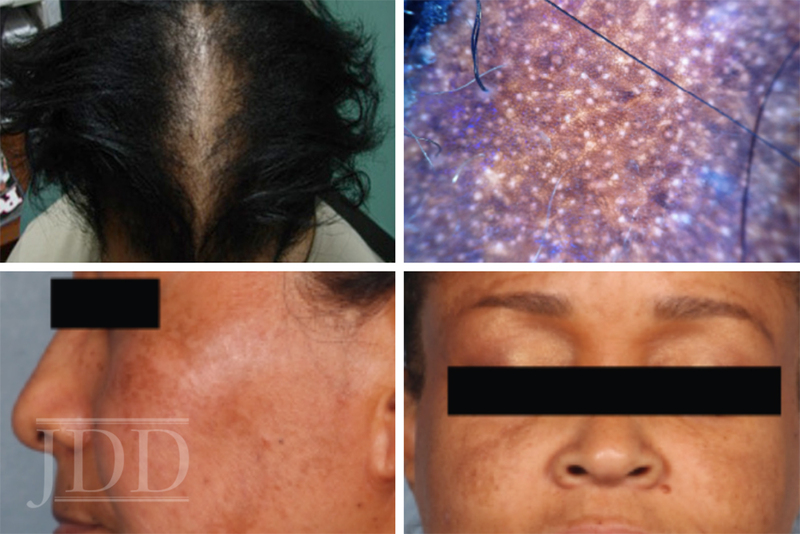 All images courtesy of the Journal of Drugs in Dermatology.